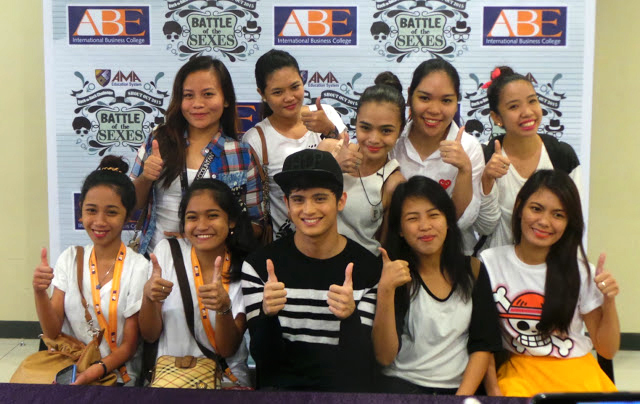 Students of ABE International Business College and students from other schools under AMA Education System had the wonderful opportunity to meet ABE’s official endorser James Reid during the AMA Education System Back to Back Challenge – Shout Out 2015 held at the MOA Arena last August 11. Safety is a top priority in all ABE campuses. 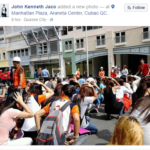 In support of the government’s campaign for disaster preparedness, ABEnians in different campuses participated in the nationwide #MMShakeDrill. 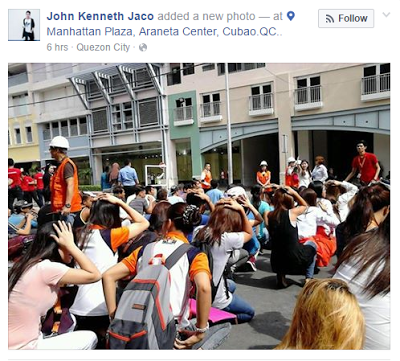 Photo shows students of ABE Cubao Campus doing the Drop, Cover and Hold drill. To all ABEnians, you may share photos or videos of events or activities in your campus with us by sending it to our facebook page via PM.